There are two types of securities that are listed on the Qatar Stock Exchange (“QE”): shares and bonds. Currently, only governmental bonds issued by the Qatar Central Bank (“QCB”) on behalf of the government of Qatar are listed on the QE. Although the procedures relating to pledging of securities prescribed by the Qatar Central Securities Depository (“QCSD”) Rules of Dealing do not differentiate between shares and bonds, there are legal and practical differences in pledging bonds under Qatari Law 22 of 2004 (“Civil Code”). This article will set out a summary of the issues relating to creation of a pledge over securities and discuss enforcement issues in Qatar. The QE is the securities market in the State of Qatar and is regulated by the Qatar Financial Markets Authority (“QFMA”). Last year QE was upgraded from frontier to emerging market status by index provider MSCI, signalling investor confidence and improved governance. Currently, the QE has 43 listed companies and trades on securities, Government Bonds, Sukuks and Treasury Bills issued by the QCB. The QCSD was established jointly by the QCB and QE. It has been operational since January 2014 and regulates the transfer of ownership of securities listed on the QE. The QCSD absorbed several functions from the QE and now acts as the central registry and depository for listed equity and debt securities (shares, bonds and sukuks) and is responsible for the settlement of orders by Delivery-versus-Payment and for registering pledges over listed securities. The QCSD Rules of Dealing set out, among other things, the applicable regulations pertaining to the types of accounts which may be operated and the procedures in connection with the pledging of securities. Briefly, creation of a pledge over shares consists of a three-step process: registration of the pledgee bank by the QCSD, authentication of the share pledge and registration of the share pledge agreement. First, the pledgee bank should register as a member with the QCSD. The QCSD accepts membership registration applications from both foreign and GCC banks. The QCSD has a process in place for considering membership applications and would expect to see, for example, the constitutional documents of the prospective QCSD member. The QCSD Rules of Dealing state that the QCSD will assess membership applications and decide on the outcome within 15 business days. Subject to registering as pledgee member with the QCSD, any financial institution, including non-Qatari entities, can register pledges over securities listed on the QE. Secondly, the share pledge agreement should be authenticated before the Ministry of Justice in Qatar. The share pledge agreement should include provisions in relation to the payment of dividends (i.e. would the dividend be payable to the pledgee bank or the pledgor) and voting rights (before and after default). Finally, the authenticated share pledge would need to be registered with the QCSD. When submitting the share pledge to the QCSD, a joint letter from the pledgor and pledgee bank addressed to the QCSD should accompany the submission. Such letter should refer to the share pledge agreement, number of shares to be pledged, the unique code of the pledgor as recorded by the QCSD (Investor Number) and thereafter the QCSD will block trading on those shares. Renewals are not required for pledge over shares. Bonus shares on the pledged shares are automatically pledged in favour of the pledgee. Registration of share pledges with the QCSD can take up to three business days. Upon completion of the pledge process, the QCSD will issue a letter to the pledgee bank providing confirmation of the pledge. The pledgee bank will be entitled, as pledgee, to obtain an account statement from the QCSD showing the balance of the pledged shares and the status of the pledge. Enforcement of share pledges is not unusual in Qatar, and Courts in Qatar will order the sale of the shares if the outstanding debt is proven and the pledge has been properly created. 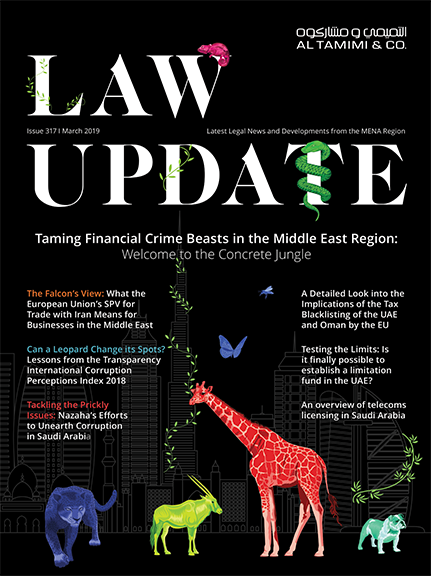 It is important to note that enforcement in Qatar is a court-led process, and self-help remedies are not permitted under the law in connection with commercial pledge over securities in general. Law 27 of 2006 ( “Commercial Code”) and the QCSD Rules of Dealing govern the enforcement of a commercial pledge over movables in general, including pledge over securities. The rights of the pledgee over pledged shares in Qatar may only be enforced through a court process. Article 247 of the Commercial Code stipulates that “any agreement concluded at the time of the mortgage or after the mortgage giving the mortgagee the right to own or sell the mortgaged property without compliance with the procedures set out under Articles 241-243 of this law [the Commercial Code] if the debtor fails to pay its debt at maturity, shall be invalid. However, after the debt or an instalment thereof becomes payable to the creditor, the debtor is entitled to waive the mortgaged property or part thereof to the creditor to settle the debt, also, the court may order that the mortgagee owns the mortgaged property or part thereof for the settlement of the debt, provided that the market value of the mortgaged asset is estimated by experts”. Accordingly, subject to the discretion of the court, a pledgee bank may own the pledged shares after obtaining a court order. Where a pledgee bank seeks to obtain enforcement through a power of attorney that authorises the pledgee bank to sell the shares without a court order, such a power of attorney would be deemed invalid, as it would seek to circumvent of the court-led process. The summary procedure would involve the pledgee bank petitioning the Qatari Courts to claim the total amount outstanding (or part thereof) following seven days from the pledgee bank sending a notification to the debtor that the amount is outstanding and obtaining an acknowledgement receipt. A registered letter with acknowledgment of receipt from the debtor is acceptable (Article 241, Commercial Code). A court order for attachment of the pledged securities or sale of the pledged securities rendered by the court can be executed five days from the expiration date of notification. Article 243 of the Commercial Code states that the court will issue an order to sell the securities on the market by recognised brokers and the pledgee bank will obtain the proceeds of sale to satisfy the outstanding amount and any additional costs (e.g. interest accrued). Whilst the mechanism of the summary process is expedient, in practice a defendant may raise substantive and procedural objections which would lead to the enforcement proceedings being referred to the Court of First Instance. This would greatly delay enforcement of the pledge and could take up to 3 years to resolve.